This article is contributed by no less than SIBG’s resident sergeant-at-arms and wingman, James Raul. If you have questions for him, please send an email to fatso@sibg.com and he will reply in 24 hours. For now, devour the works of one of our master seducers! Do you want to learn how to get a gal to like you? James here, and I’ve been in the Baltimore Lair for three years now, and so I speak from experience. If you have set your eyes on a girl and want her to like you, then the first thing that you need to know is that every girl is different. So, what one girl might like could be completely different from what another girl might like. Before you can fully comprehend how to get your dream girl to like you back, you will therefore have to take various things into consideration first. Since there is a ton of information available online nowadays, though, here is an article that breaks down the basics for you. Research says that women get attracted to men in red. Won’t hurt to try! This is probably the most important tip out there. If you want to get a girl to like you, then you have to be different from the rest of the other guys who are running after her. It would be extremely helpful to do some research on the girl that you are eyeing first, though. This way, you can find out if she is adventurous or shy and whether she would go for someone gutsy or reserved. Either way, be the kind of guy that she would want to be with and you are sure to score major brownie points in no time. However, if you would rather forgo the research and go straight in for the kill on the day you meet a girl, then keep in mind that most girls simply aren’t interested in boring, predictable guys. Why not try wearing red? Yes, red. Research shows that women get attracted to men in red! They are interested in unique, exciting guys; so, turning into one of those guys would probably be your best bet. Remember – you don’t have to be ‘better‘, only ‘different‘. Contrary to popular belief, girls aren’t looking for drop dead gorgeous guys that they can date. While good looks and six pack abs may be a major plus in the dating department, it really isn’t a prerequisite. However, you will need to groom yourself at the very least if you want to win a girl over. If you want to seduce her, look at this SIBG guide. This means that you shouldn’t smell like sweat or have bad breath or bad body odor when you approach a girl. Practice good hygiene and keep yourself clean at all times, as well. Also, make sure your hair and clothes are always neat and presentable. If you need help and you want a fresh pair of eyes to look and evaluate your appearance, contact me or Matthew (email matt@sibg.com). If you build enough emotional rapport with her,then it will be easier for you to seduce her. If you want to know the fastest way to getting a girl to like you, then start by developing emotional rapport with her. This might sound counterproductive (you risk falling into the dreaded friend zone if you are not careful), but if you become a girl’s ‘friend’ before you let her know your true intentions; then you will be able to get to know her more, spend more time with her and make her comfortable around you while you’re at it. Remember – if you do not get enough face time with her then you won’t be able to attract her. Let that sink in a little. One of the best ways to develop emotional rapport is to use this hypnosis technique called fractionation. Click here for a free download. Once you win her over in the friend department, you can then start flirting with her a little bit and finally show her your true intentions. And if you think this girl is someone you want to have a serious relationship with, then becoming friends with her will also make it easier for you to make her fall in love with you. On that note, always make it a point to approach the girl that you are eyeing and talk to her before she makes the first move. Girls love it when guys make the first move, and it would help a lot if you already have interesting subjects to talk about to make her smile and keep her entertained. Also, at the same time, weave some fractionation-laden lines into your conversation threads in order to build emotional rapport above (see the previous point). 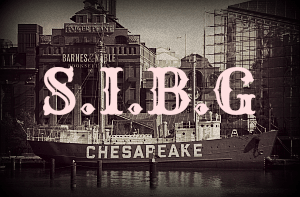 We at SIBG.com likes Colin Simone’s Conversational Seduction philosophy, and follows it to the brim (it’s part of the new lair member’s initiation program – apart from Derek Rake’s programs). Google it! A lot of girls would prefer to date guys who have their own lives outside of the dating game. So, if you show a girl that you preoccupy yourself with a ton of other things during your free time, then she can rest assured that you aren’t clingy and won’t demand too much of her time. This will also show her that you are mature and independent, and that you have personal goals that you do not plan to give up for her. Most girls are very social, so it would help you a lot if you are a social being, too, especially if you want to impress a girl somehow. If you show a girl that you are social, then she will know that she will never get bored around you if you ever do end up going out. Don’t be shy to meet her friends or family when you start dating, either. This will definitely score you major brownie points with her. Many guys (and competing seduction lairs) hate us for this, but we have absolutely no qualms about using what are seen as “underhanded” tactics to seduce women. With an arsenal of what’s known as “forbidden” patterns derived from underground hypnosis and persuasion knowledge. With this knowledge, we can step into any situation with quiet confidence that we can attract any woman we want, anywhere. What would you do with this power? I am able to sleep at night despite using these techniques simply because I have no ill intentions towards women. Women are happier when they are attracted to me because I show them a good time. On the other hand, if you have bad intentions towards women, and want to use these techniques to hurt women, then don’t click on the link above. Also, my lawyers have asked me to make this clear: you are responsible for your own actions from the knowledge that I share above. Don’t blame me if you get stuck in a bad situation where a woman gets super clingy and starts calling you every hour. Thank you for understanding. :)For more (rather insidious!) mind control seduction techniques on how to manipulate (and emotionally enslave) a woman, click here.